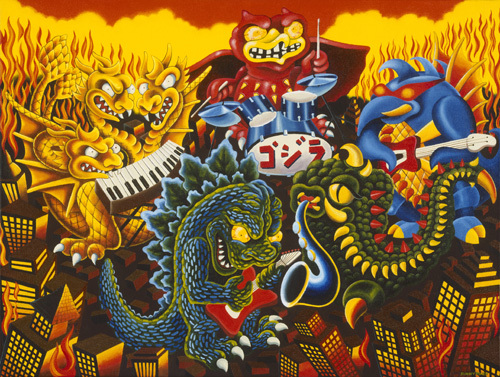 When I saw this photo of a Godzilla/Kaiju monster plushie rock band, I knew I had to paint it! 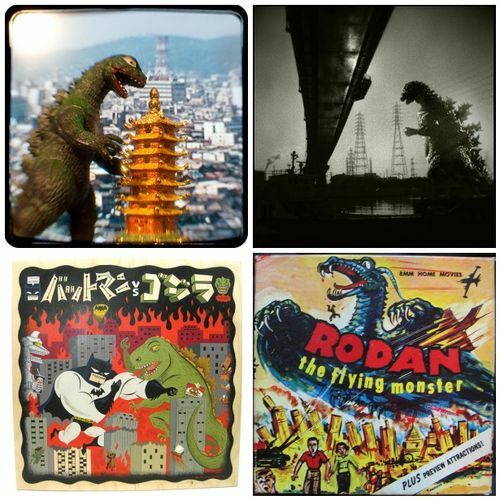 You can find lots of great collectables like these in An Unautorised Guide to Godzilla Collectables by Sean Linkenback Schiffer Books. 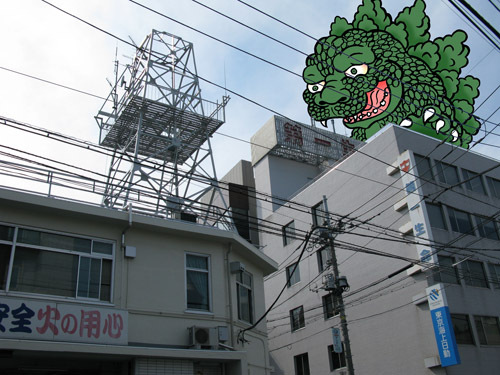 Is it Godzilla? Is it a robot? I don’t know but I love it! Someboby, please come and get this tattooed by me! Here he is in his original state. 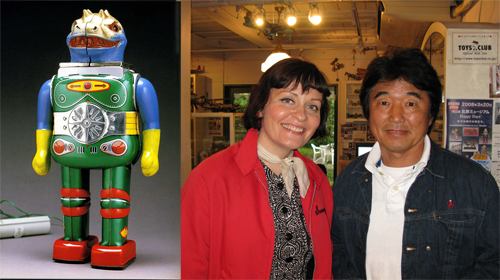 Plus a photo of me with Teruhisa Kitahara the owner of Toys Club and the Tin Toy Museum in Yokohama. 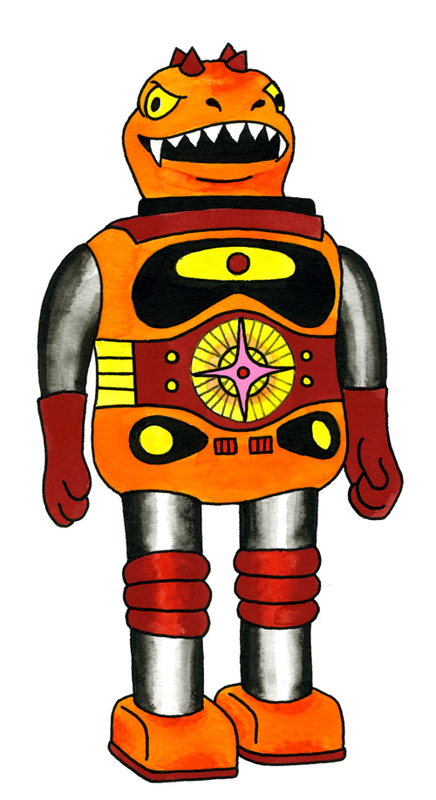 His book Robots and Spaceships is available through Taschen. 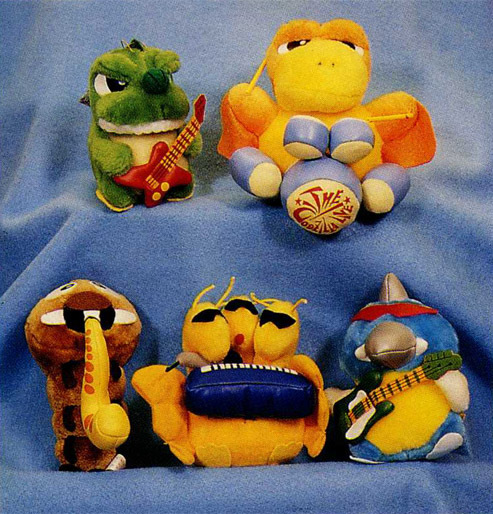 I found Betty Jo Designs one day on Flickr and nearly had a heart attack. 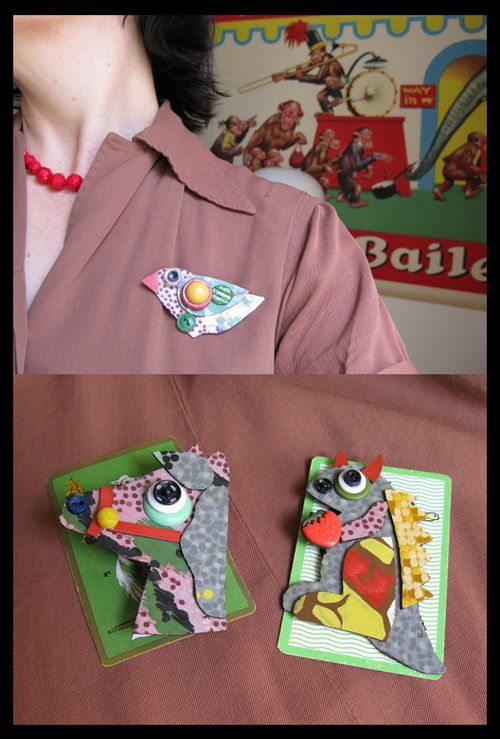 Needless to say I immediately ordered 3 broaches. I love my strawberry eating Godzilla. They are made out of old linoleum! I wore them today on an old Brown gabardine dress that I had customized by my friend Doro in Brussels. 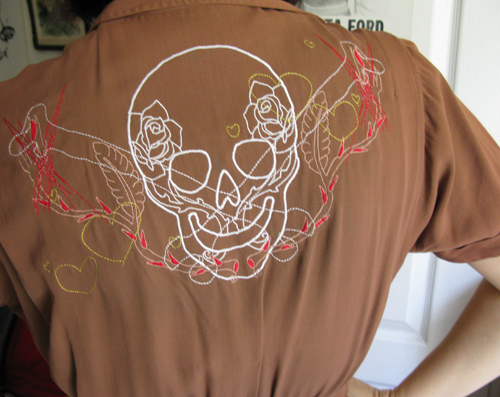 The dress is fabulous, probably an old uniform, but I had the skull added, because it was a little plain. Both girls can be found on etsy here and here.